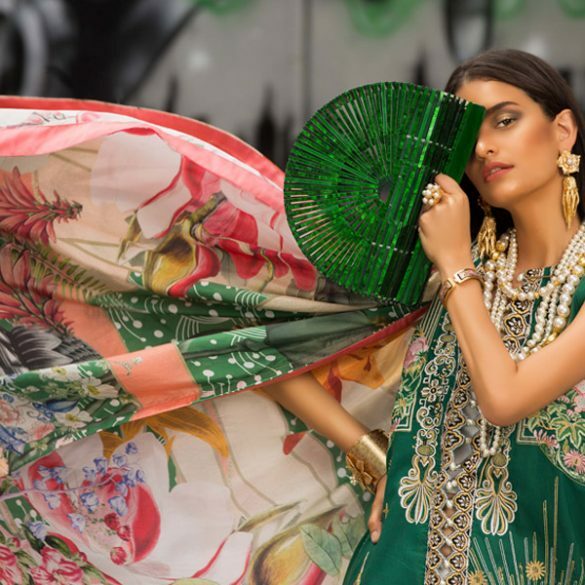 ‘The Urban Legend’ collection by Amir Adnan is inspired by the beauty, splendor and folklore of Afghanistan. 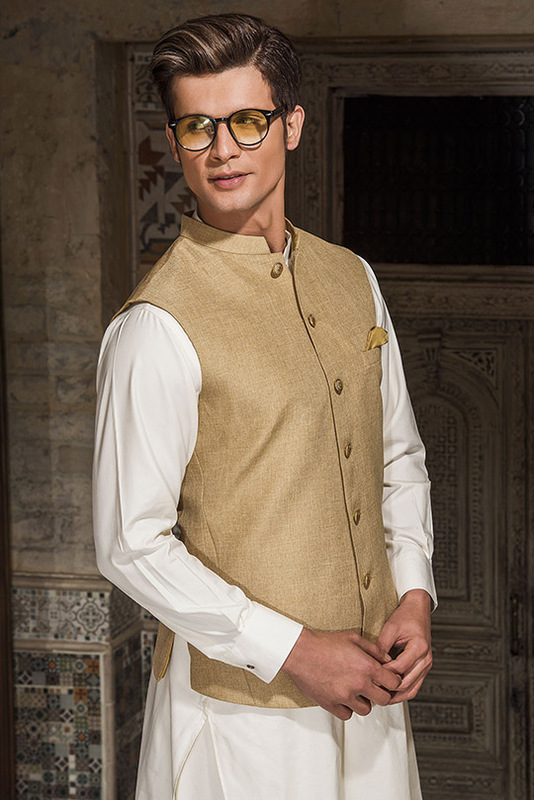 The Spring ’19 wedding collection takes elements of texture and embroidery from old tradition and amalgamates this with modern cuts for the man of today. Alpha – The Urban Legend, revolves around themes of folklore and royalty. The primary colors this season are gold and white, signifying ritual, hope and prosperity and we can’t get enough of these regal ensembles. From delicate details to sleek sophisticated silhouettes- the brand takes men’s wedding wear to the next level. 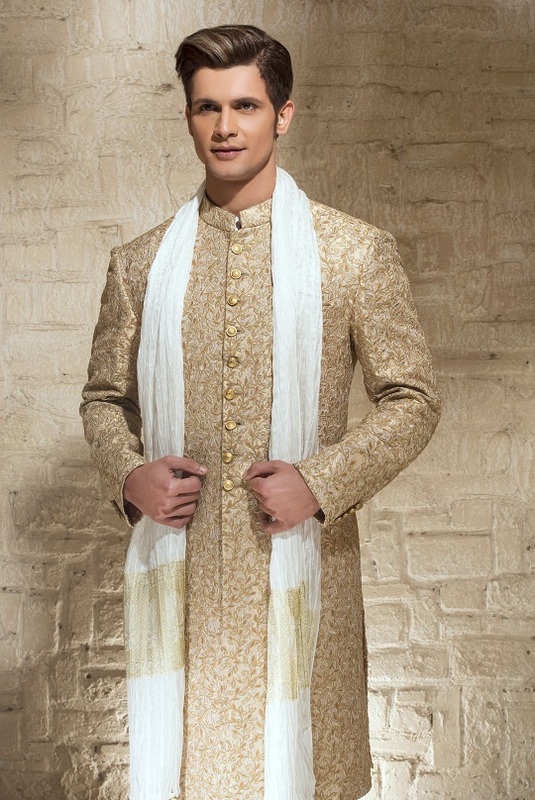 Approach your big day in style and don their gold embroidered sherwani; filled with resham threads trickling along the ensemble and accentuated with gold buttons- don this look with a hand woven shawl and signature Amir Adnan Khussay to complete your look! 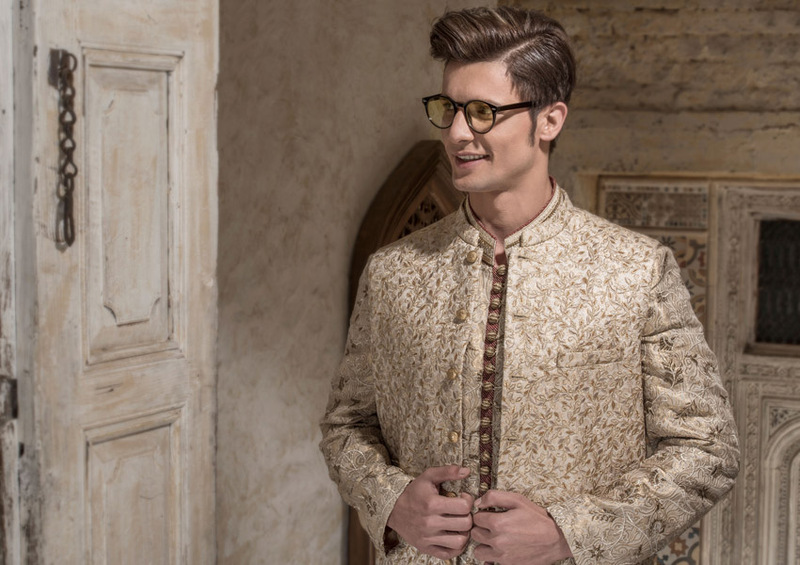 Let’s not forget the most festive event of them all; your mehndi won’t be complete without a crisp white kameez shalwar and sand colored waist coat with specks of gold woven through the finest fabric. 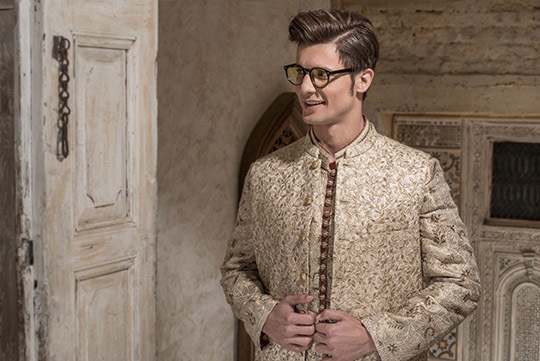 So, Grooms to be head over to Amir Adnan’s couture lounge at Park Towers, Karachi for the makeover you are looking for today!